SIMEON lights are efficient, flexible, and durable, and reflect the state of the art – so typically SIMEON. That’s why the BusinessLine uses market-leading reflector technology and refines the famous SIMEON triangle design. SIMEON BusinessLine lights bring technological excellence to any OR, anywhere in the world. 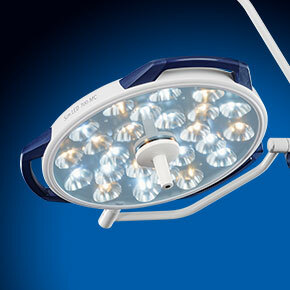 After all, the BusinessLine offers limitless combinations of small Sim.LED 450, medium-sized Sim.LED 500 and large Sim.LED 700 surgical lights in single and multi-color, with and without cameras. 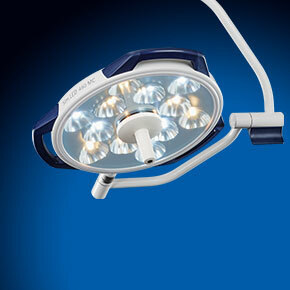 SIMEON’s BusinessLine offers the perfect light for any OR situation and any user. 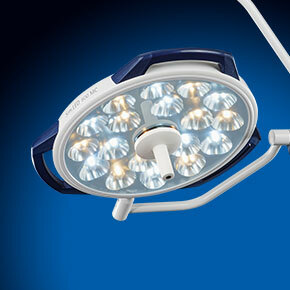 BusinessLine surgical lights give you all the benefits of a Sim.LED at an unbeatable price-performance ratio.